TRACE stands for Transforming Space. This project engages young people in being problem solvers and designers by critically examining physical spaces in the community. Participants use a variety of creative tools, from art and color to the written word and urban graphics, to transform and redefine these physical spaces. Nightingale Bike Zone | Connected with the Cypress Park Bikeways Initiative – Community Voice Project, students worked with artists from the Mobile Mural Lab program to redesign an empty space at Nightingale and transform it into an area for students to lock up their bikes. The concept originated from a student’s idea to encourage more of his peers to ride their bikes to school. The mural was created to inspire others around the idea and generate momentum around riding their bikes to campus. Inspirational Stairs | Led by a team of 7th grade students the Inspirational Stairs Project focuses on reinvigorating parts of the Nightingale campus by painting positive, motivational words on the stairs. Thus, as students walk around the campus, they will be inspired by various words, phrases, and graphics in English, Spanish, and Chinese. Nighthawks Will Rise | Developed in partnership with the Mobile Mural Lab, the Nighthawks Will Rise is the first stencil series created by students. 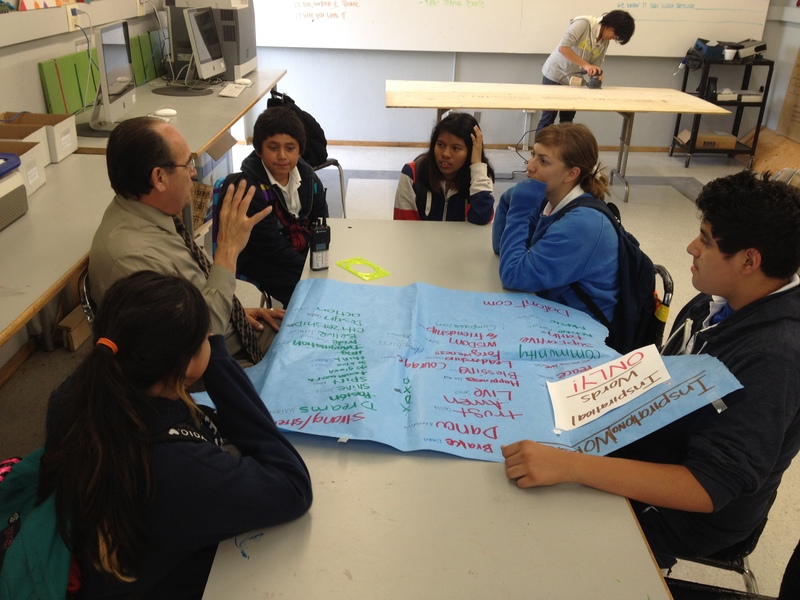 Students met after school for four weeks to develop the concept, test, and implement their idea for transforming empty wall spaces around the school.